With the recent influx of violence and shooting acts in schools, one local man has come up with a very effective solution to prevent the loss of life in these situations. The Barracuda Intruder Defense System was designed especially to prevent violent intruders from entering a room of people both in class and public places. 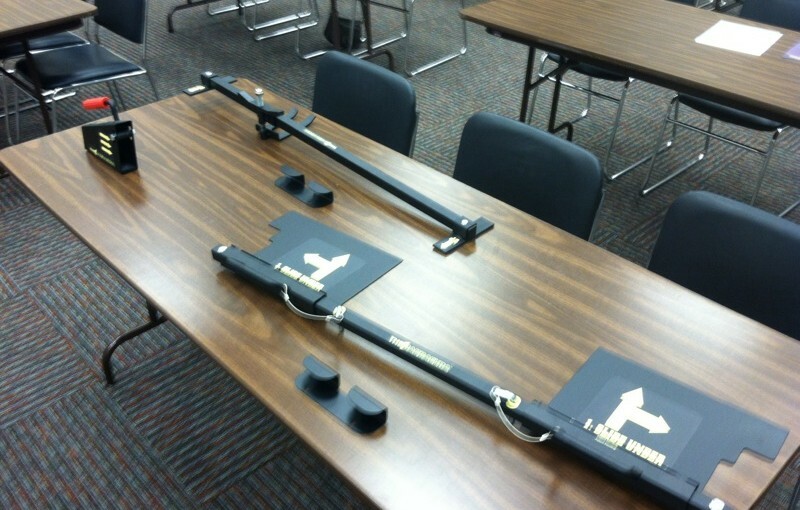 The system is made here in Muskingum County, is very easy to use, and will securely lock a door in an emergency. Local inventor Troy Lowe says it took a lot of hard work to make it a reality. "Patience. Having friends come over, teaching me the welding basics, and getting into making the correct business contacts, for example through MCBI." Sherry Stewart, Executive in Residence of Tech Growth Ohio, says it has been very exciting to work with Lowe on the project. "I have grandchildren in the school system, and to know that something like this existed, for it to not be in their classroom, would not be the right thing to do. "